Does your school have “Tiger Pride?” Are your students the best “Fighting Falcons?” Your school’s passion can be the channel to saving that animal in the wild. 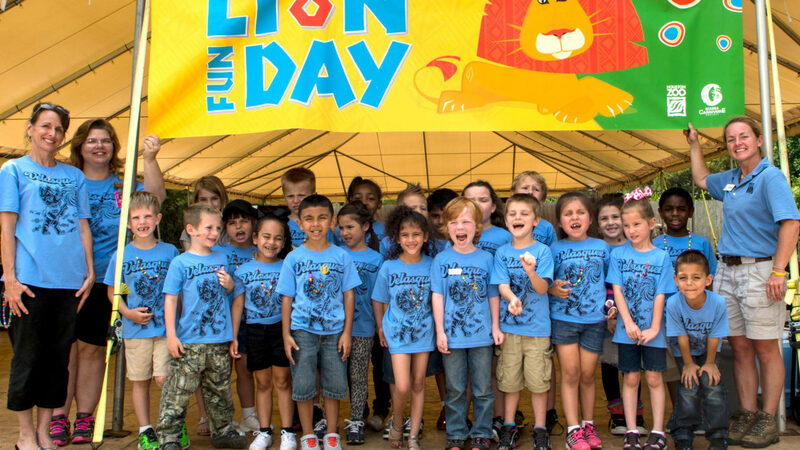 This program connects your students with local and international Zoo partners saving wildlife, and engages your students in wildlife-saving actions such as cell phone or paper recycling that tie directly with TEKS. Your students can meet with our keepers and animal ambassadors that match your mascot during a Zoo visit. Ready to find out more about how your school can become a partner to save wildlife? The Houston Zoo is helping to save pollinators through our Pollinator Garden Partnership. We invite your school to become a partner! This program connects your students with local wildlife found right in their school yards, and engages your students in nature by focusing on establishing native gardens around their school communities. This important wildlife-saving action ties directly with TEKS and allows your students to bring their learning outside their classroom walls. These projects are student-driven and teacher-championed! Partnerships focus on empowering students to learn more about a conservation problem they feel inspired to act on, think of a solution to that problem, and then implement that solution as much as possible. The sky truly is the limit, and the projects go wherever the students take them. The only requirement is that the project and solution must help animals in some way – for example by reducing threats, increasing habitat, providing enrichment, etc. Ready to find out more about how your student(s) can engage in project-based learning? MacGregor Elementary Tigers are Helping Saving Tigers in the Wild!